With an AUM per client of $1 million, Donald Daggett is currently one of a select number of qualified portfolio managers within CIBC Wood Gundy. He has extensive knowledge in modern portfolio theory, taxation and estate planning, as well as the concerns of small and midsize businesses. 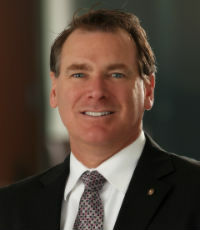 Daggett is an active member of the Rotary Club in the Waterloo Region and co-chaired the first annual Cambridge Rotaries Ribfest.